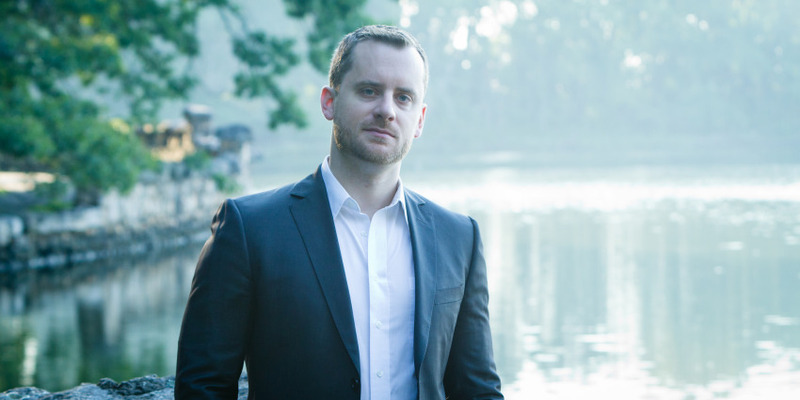 Acclaimed as "one of the brightest younger artists in the field today" (The Diapason), Jonathan Ryan consistently elicits acclaim for his "considerable depth of musicianship, imagination, and passion" (Ibid. ), "sense of architecture" (Choir & Organ), and "great sensitivity within the composer's spirit" (Frankfurter Neue Presse). His command of an exceptionally large breadth of repertoire, spanning from the Renaissance to numerous solo and collaborative premieres, coupled with "true virtuosity" (Reutlingener Generalanzeiger) enables the bold, imaginative programming and exceptional use of each organ’s unique capability for which he is noted. Especially concerned with communicating a work's essence, his ability to captivate listeners has "left the audience in a breathless awe" (Ibid.). Mr. Ryan has the rare distinction of holding six First Prize awards from major international and national organ competitions. 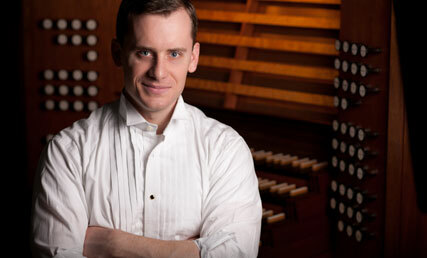 He most notably entered the international spotlight when awarded First Prize in the 2009 Jordan II International Organ Competition, one of the most substantial First Prize awards of any organ competition at the time. He was additionally awarded the only auxiliary prize at the Jordan Competition, the LeTourneau Concerto Prize, given for the best performance of a newly commissioned work for organ and percussion ensemble. Additional First Prize awards include the 2006 Arthur Poister National Organ Competition, the 2006 John Rodland Scholarship Competition, the 2004 Albert Schweitzer National Organ Competition (Young Professional Division), and the 2003 Augustana Arts-Reuter National Organ Competition. Jonathan Ryan’s newest recording entitled Influences, recorded on the Stahlhuth-Jann organ at St. Martin’s Church, Dudelange Luxembourg, was released in December, 2015 on the independent boutique label, Acis, and is available for purchase at jonathan-ryan.com. The recording features major works by Dupré and Willan, a premiere recording of Ad Wammes, and a commissioned piece by renowned English composer Philip Moore. His début solo organ recording, A Cathedral’s Voice (Raven 941), was released in 2012 to immediate critical acclaim, including a five-star review in the London-based Choir & Organ. Lauded as "masterfully played" (The Journal of the Association of Anglican Musicians) with "expressive singing lines....extraordinary technical ability" (The Diapason), it includes music ranging from Byrd and Bach to Schumann and Eben to a commission by multi award-winning young American composer Zachary Wadsworth. Mr. Ryan’s performances have also been featured on the nationally syndicated radio programs Pipedreams and With Heart and Voice. As a recitalist, Mr. Ryan’s solo engagements have taken him to numerous prominent venues and festivals throughout the United States and Europe. Recent performances in the UK have included St. Paul’s London, Ripon, Southwark, and Truro Cathedrals, and a celebrity recital at St. Michael & All Angels Church in Great Torrington. In Germany, he has performed at Leipzig’s Nicholaikirche and at international organ festivals in Hamburg, Lübeck, Konstanz, and Kevelaer. Other European venues include the Cathédrale St-André in Bordeaux (France), and the international Spätsommer Festival in Zürich (Switzerland). In the United States, recent engagements include the Piccolo Spoleto Festival’s prestigious Spotlight Series (Charleston SC), the inaugural organ concert series at the Cathedral of Christ the Light in Oakland CA, the Eccles Organ Festival (Salt Lake City UT), the Co-Cathedral of the Sacred Heart in Houston TX, and recitals sponsored by the Chapters of the American Guild of Organists in Cleveland OH, Kansas City MO, Fairfield County CT, Charlotte NC, Knoxville TN, and Little Rock AR. Mr. Ryan's current performance projects include recitals of J.S. Bach's monumental Clavier-Übung III in a tour on historically-based organs throughout the United States, including Stanford and Pacific Lutheran universities, St. Joseph Cathedral in Columbus OH, St. Philip Presbyterian Church in Houston TX, Pinnacle Presbyterian Church in Scottsdale AZ, Church of the Transfiguration in Dallas TX, Trinity Cathedral in Cleveland OH, and Christ Church Christiana Hundred in Wilmington DE. Born into a musical family in Charlotte NC, Ryan first started playing the organ at age eight. He earned a Bachelor of Music degree with academic honors from the Cleveland Institute of Music where he studied organ, improvisation, and church music with Todd Wilson. During his undergraduate studies, he was awarded the Henry Fusner Prize for outstanding achievement in the Cleveland Institute of Music’s organ department, and also assisted Todd Wilson at The Church of the Covenant as Student Intern in Music. As a student of David Higgs, Ryan received a Master of Music degree from the Eastman School of Music where he also studied improvisation with William Porter and conducting with William Weinert. Additionally, he holds the highest-ranking professional certification from the American Guild of Organists, the revered Fellow certificate, as well as the Choirmaster certificate for which he received the Choirmaster Prize. Ryan serves as Director of Music and Organist at St. Michael and All Angels Episcopal Church in Dallas, TX where his passions for conducting, performing and teaching combine with his love of sacred music at the country's second largest Episcopal church. At St. Michael, he directs the adult choirs, oversees a growing chorister program, established the professional Compline Choir, and heads the Saint Michael Presents concert series. He most recently served as Associate Director of Music within one of the largest music programs in the Episcopal Church at Christ Church in Greenwich CT . Among Christ Church’s nine choirs, he directed the adult choir in choral Masses and concerts, and assisted with the Choir of Men & Boys and the Girls Choir. He has previously held director, conducting and organist positions at St. John Cantius Church in Chicago IL and St. Anne Church in Rochester NY where he was additionally Artistic Director of the Music at St. Anne concert series, and University Organist at the University of Rochester. During his two seasons as Visiting Artist at St. James Cathedral in Chicago IL, his solo organ accompaniment transcription of the Brahms Ein Deutsches Requiem, Op. 45, performed live in concert with the St. James Cathedral Choir (Bruce Barber, conductor), was showcased on the Friday night “Music in Chicago” program of Chicago’s Classical Music Station, WFMT.